it renders the melody sweeter." 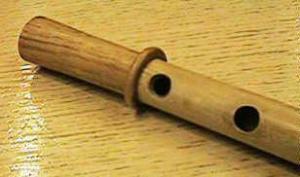 The pipe is a simple instrument with a fipple like a willow whistle or recorder but usually having only three melody holes (index finger, middle finger, and thumb). The bore is narrow to facilitate overblowing. 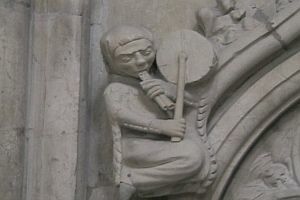 There is a ridge around the bottom of the instrument to aid in supporting the pipe. 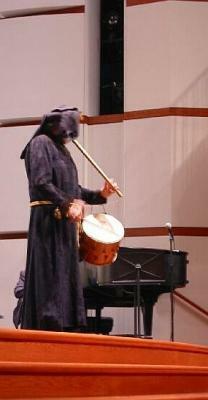 This allows the player to handle a the instrument with one hand, leaving the other hand free to strike the tabor. The drum is held with a strap or thong around the arm which fingers the pipe. 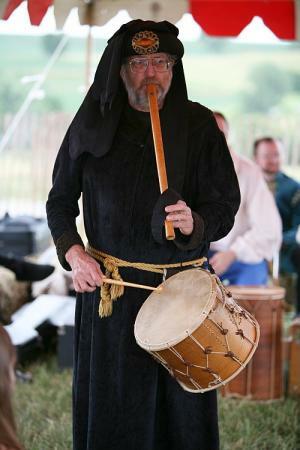 Thus one performer accompanies himself, making an ideal combination for dance music of a rustic nature, or to supply background music for jugglers or performing animals. 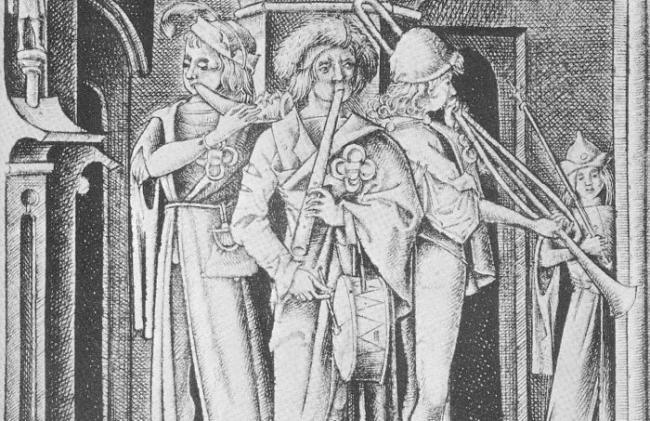 The pipe and tabor (also whittle and dubb, or un flagol' un tabourin) player also entertained the audience during scene changes of Shakespeare plays. It takes a player with special talents to handle the unusual fingerings of this instrument.See the percussion page for more information about the drum member of this duet. Pipes came in several sizes. Musica Antiqua's pipe is a tenor by Carlick. The tabor is by Williamson.